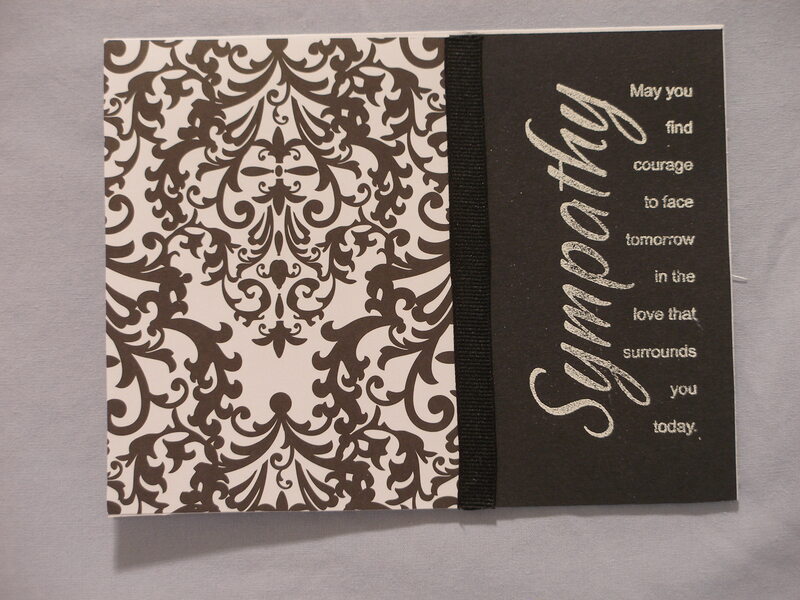 This easy Sympathy card was heat embossed using Clearly Inspired clear stamp by Paper Inspirations. 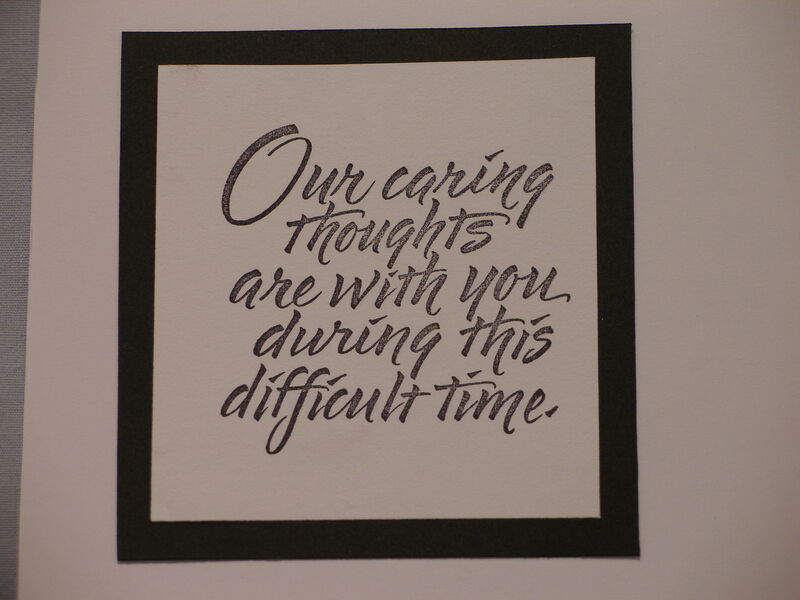 Taped on to the card with a black & white paper taped (3M) to the other side. Black ribbon along the seam. This stamp is by Hero Arts.